Hey friends, I hope you are having a fabulous day! I have enjoyed doing these Quick Tip Friday posts but I may be rethinking them. I am currently working a “little” blog redesign and trying to figure out how all of these things fit together. This week though I am talking about painting metal. YES, it is possible! I have a couple of great tips that will make painting metal easier for you. 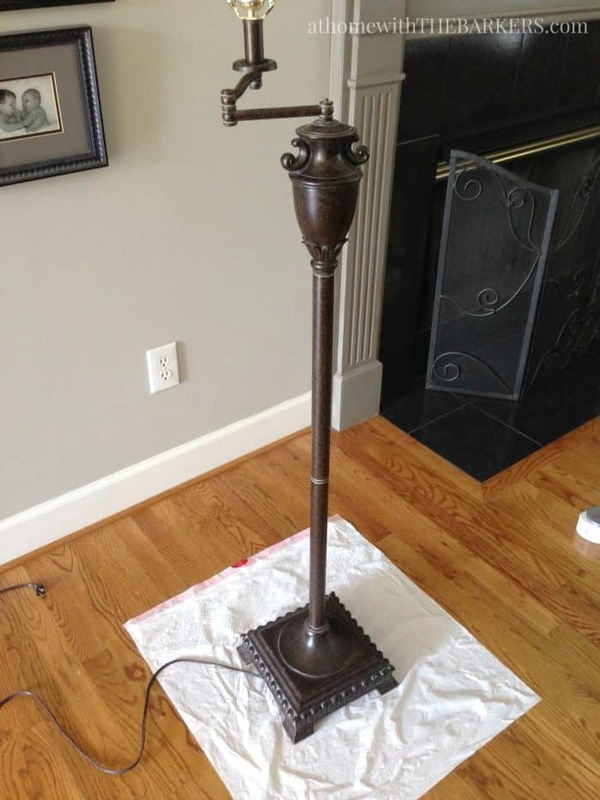 For my example of painting metal I am showing you my lamp makeover. I have had this lamp for a long time and since lamps can get very expensive I love to just make them over. 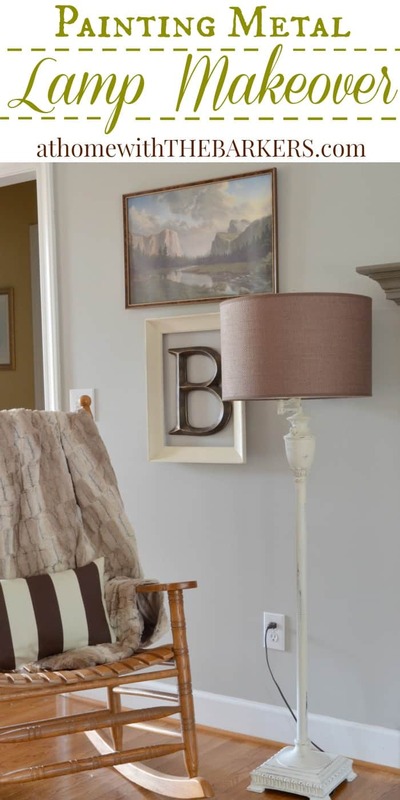 A makeover can change a room or at least give you a different look while you save money for something new. As you can see, this metal lamp is dark and needed an update. I like it because its very sturdy and it has that great swivel arm. I am thinking I may want a new one soon but it has looked pretty good this way for the past few months since it’s makeover. Here is what it looked like before. If I can get by without moving anything to paint, I DO! This was pretty simple and all I had to do was place a trash bag under the lamp so I didn’t paint the floor too. I’ve been known, a time or two, to paint an entire room without a drop cloth…drives the hubs crazy but I’m always so excited to get the new color up. I don’t recommend it, paint and carpet aren’t friends. You can use spray paint for painting metal, I have done it but I have found that chalk finish paint works much better. 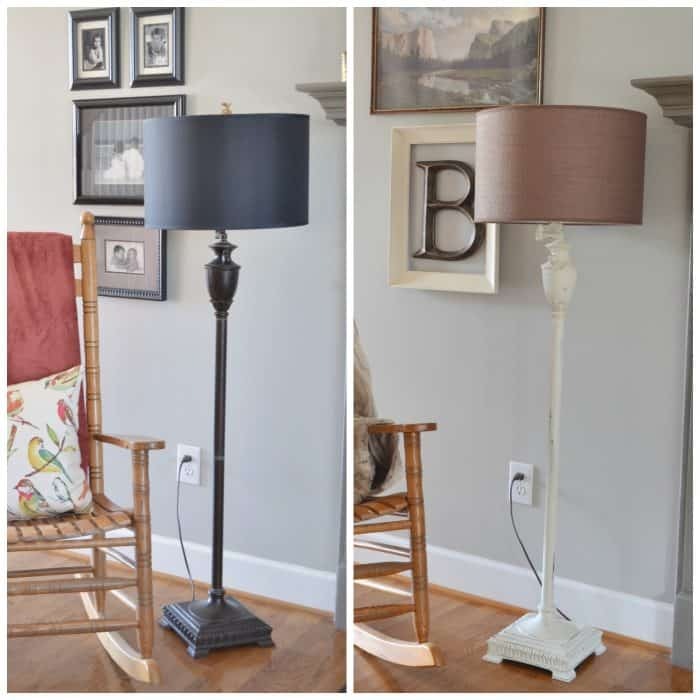 For this lamp makeover I used some of my homemade chalk finish paint that I had saved from a client project. That is just the sample size paint that I got for free from Lowe’s with one of those magazine tear out coupons. Love those! 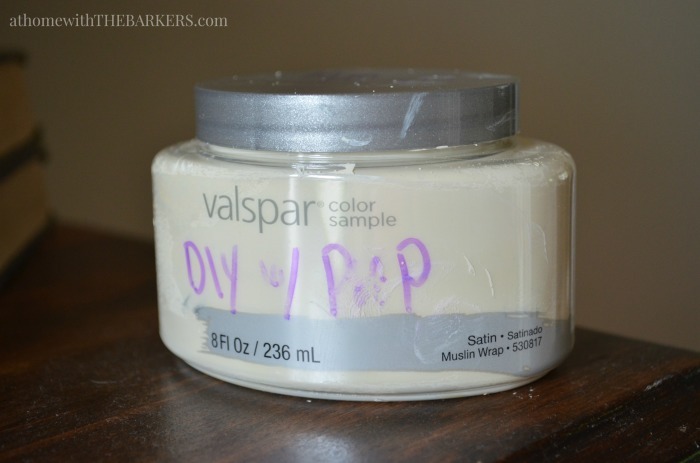 I wrote myself a note in purple marker on the container so I would know it’s DIY paint with plaster of paris. I painted 2 coats on this lamp not entirely covering all of the surface. I knew I wanted it distressed so this helped saved me time. 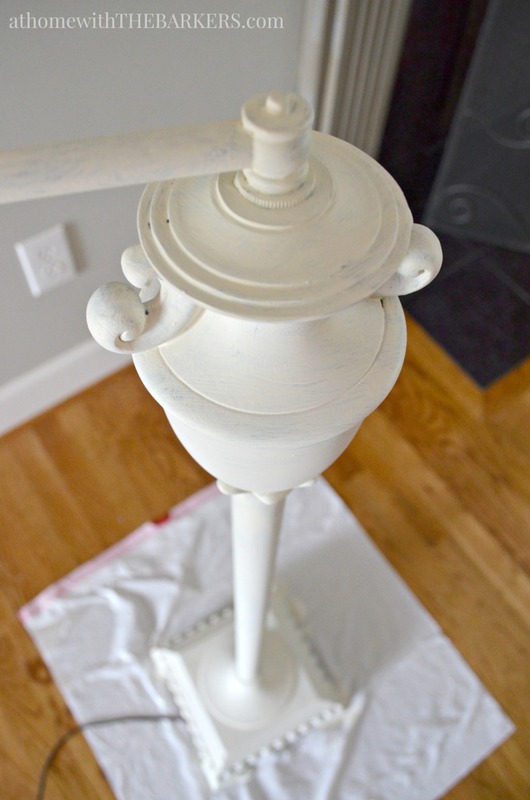 Here is the important tip for distressing painted metal, use a damp cloth NOT sand paper. Metal will scratch and you don’t want that. 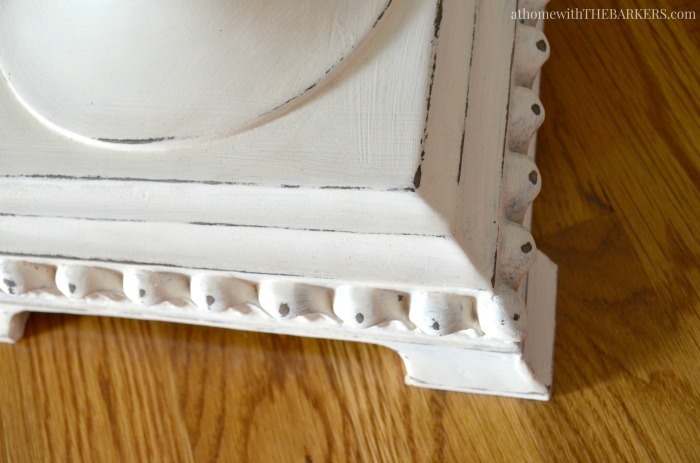 Take a damp cloth and rub over the areas you want distressed just as you would sand paper. Be sure to do this before you wax. This is really a great technique even with wood, it cuts down dust you get when you sand chalk finish paint with sand paper. Here is a side by side photo for better reference. I also swapped out the lamp shade for one I already had on another lamp that I had given my sister. I think I need a tiny round table there or maybe a plant. 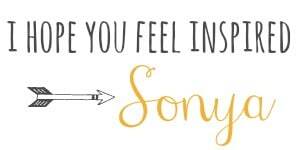 Sonya, love the lamp. I also use Baby wipes for distressing. Keep a pack with my paint all the time. Beats the dust from sanding! Great idea Marsha! I’ll have to start keeping those on hand too. Thanks, white was a great choice I think too! 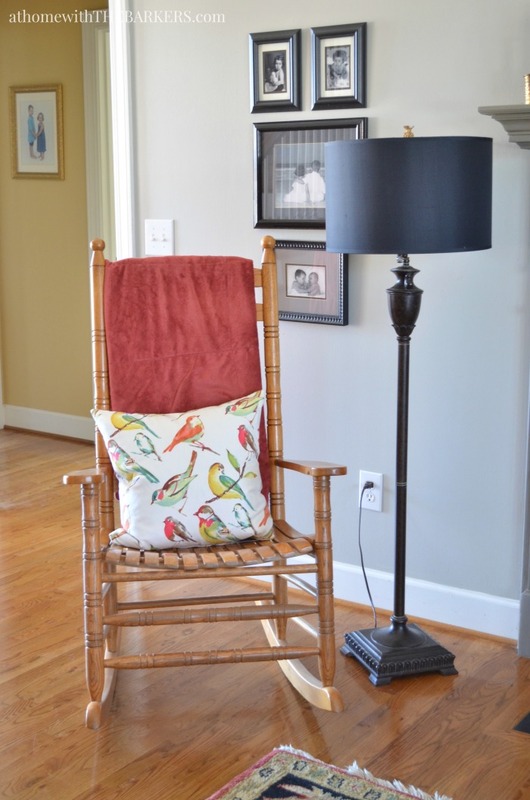 The new color brings a lot of light to the room – even when the lamp is off!